This week I got to test drive the Laptop Attache from Case Logic. This case fits laptops between 13" and 15". My HP Pavilion 15" laptop fit into the case snugly. The look of the case is futuristic, as someone who saw me carrying it said, 'looks sci-fi'. I definitely like the look. It feels nice too. The outside is made out of Ethylene Vinyl Acetate (EVA) Foam which is sturdy yet soft to touch. Though I did notice that it scuffs rather easily and is bendable when some pressure is applied. So I would not recommend putting the case with computer inside through too many dings. 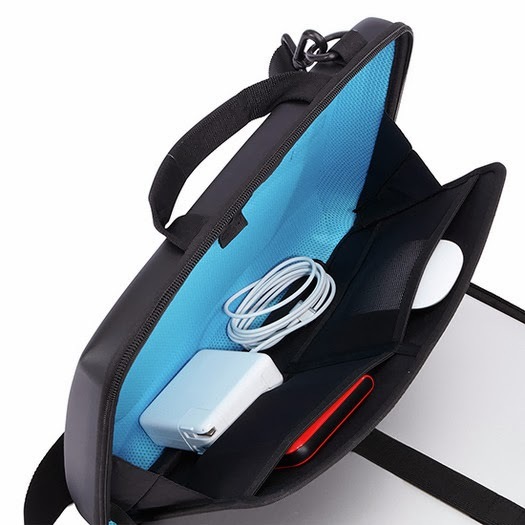 Inside, the case has space for the laptop with a strap to hold it securely in place while traveling as well as additional storage compartment for mouse, cords, other peripherals and docs. Attaché has built-in handles unlike similar type of cases and a padded shoulder strap for easy transport. It was comfortable to hold and carry on the shoulder. The shoulder strap latches are on either side of the zipper. While that is great for balance when carrying the case on your shoulder, it makes it for an awkward opening of the case once placed on the lap. The case is thin and relatively compact which makes it good to carry on its own or it can be placed inside a large suitcase without the laptop getting squished. Once a laptop is placed inside the case, it can remain there when in use as well. 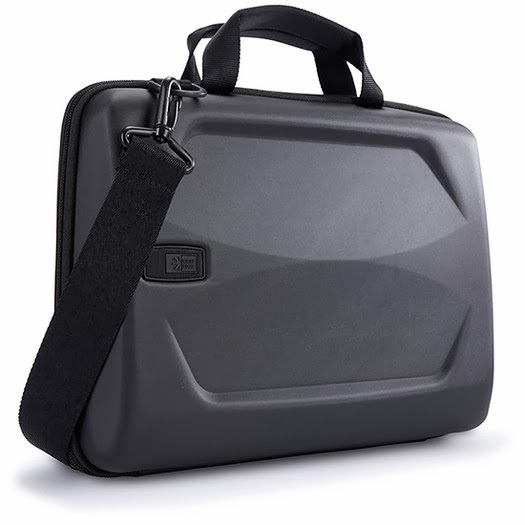 The case provides an even surface on your lap to get some work done while en route and keeps the computer off of you. Though take care to note where the fan in on your laptop as the case might block the exhaust area of the fan and trap in the heat. 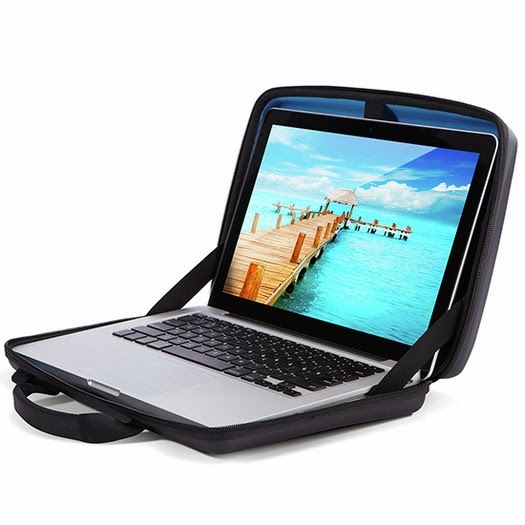 The case does have airflow channels at the bottom portion to prevent overheating for most laptops. At just over 2 lb in weight, the case is a bit heavier than most of the same size (dimensions 3 x 16 x 13 inches). Disclaimer: I was sent Laptop Attaché by Case Logic to review and was compensated for my time to write this post. All opinions expressed are my own and not influenced in any way. It is worth noting that major methods of transportation have not changed for quite some time. Vehicles are much more efficient, but they are still the same vehicles. This could be due to the fact that a new method of transportation requires a corresponding infrastructure on which it can operate. The Hyperloop is an example of this problem. 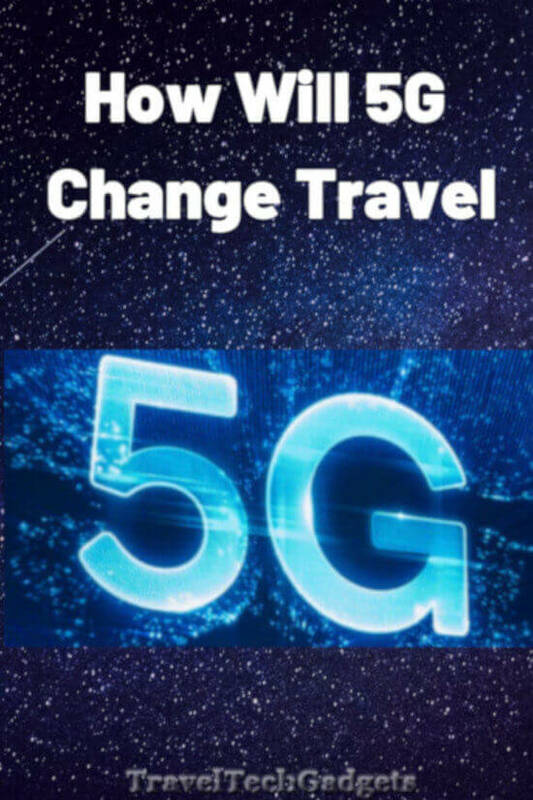 Although it and other travel inventions prove to be innovative, the willingness to update the infrastructure continues to be a hindrance to their development. Billionaire Elon Musk revealed his Hyperloop invention as a form of high-speed travel for the future. He claims the pneumatic device would feel similar to an airplane while riding yet deliver speeds of up to 800 miles an hour. Such speeds would be capable of transporting passengers from Los Angeles to San Francisco in about 30 minutes. Guests would be seated in a capsule which would float on a cushion of air. 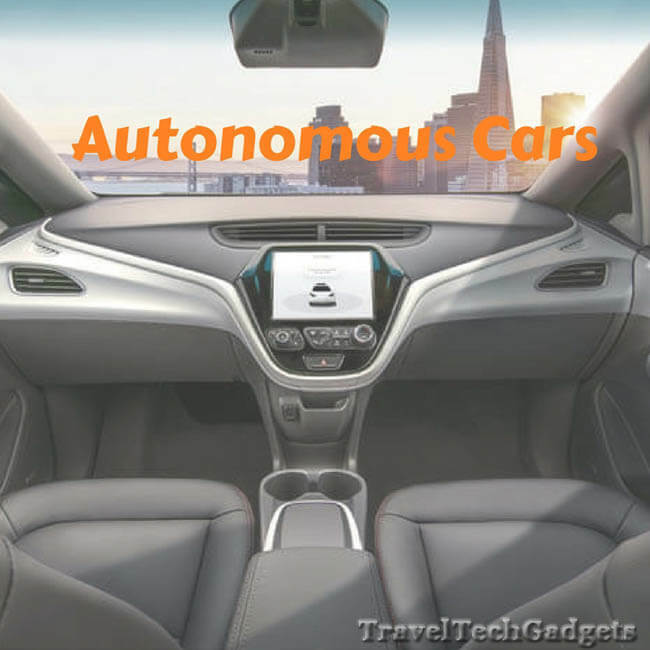 According to Musk’s plan, the contraptions would depart every 30 seconds with 28 passengers on board. 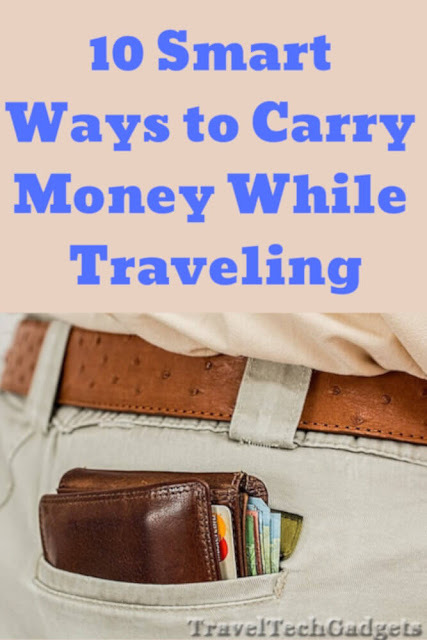 The cost of travel would be 20 dollars each way. Upon his revelation, there were naysayers and doubters of course, but it is not entirely unrealistic. ET3, a company from Colorado, already has multiple investors for its own version of high-speed transportation. Founder Daryl Oster says their system will be able to transport passengers from New York City to Beijing in just two hours, achieving a speed of 4,000 miles per hour. Thanks to Elon Musk, people like Oster feel their outrageous transportation concepts gain more credibility. So, what are some even crazier future transportation ideas? While one of the more familiar futuristic plans, the jetpack still seems so unlikely. This notion did not stop the creation of the Martin jetpack which is in the final stages of development. This particular device comes with a parachute and rolling cage for safety and is planned for government use. According to the company the FAA’s Highways in the Sky project is examining the potential for personal flight paths. The idea behind this transportation method combines the functions of both a train and an airplane. It works with a train traveling normally on a track until being picked up at some point by an airplane. The car of the train thus becomes the plane’s fuselage. The train is then placed back on a track on its destination route. Architect Martin Angelov devised a plan to string a network of cables above a city and transport people attached with powered backpacks. The bike tube was created for London commuters to travel during a strike by the local subway system. After the strike the concept remained practical for those looking for a more efficient way to travel throughout the city. The tube offers five different routes throughout London. This design impressed investors at Google so much that they provided $1 million for research and development. The device involves suspending passengers in a pod in which they pedal to their destination. Unfortunately the idea never quite took off. Unlike other crazy transportation ideas, the Hyperloop may be more likely to become a possibility. After all, its inventor is the same man behind PayPal, SpaceX and Tesla. 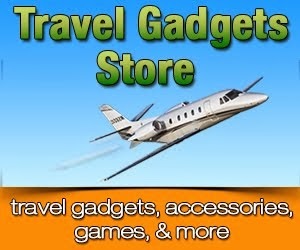 Glenda Pierson is a freelance technology blogger, currently residing in Houston, Texas. She is eager to see new energy efficient travel options grow in the U.S., and is keen on examining mechanical integrity and other heavy-duty construction projects. - from the maker of cool portable wireless speakers, Jambox, this latest gadget goes on your wrist. Sound-off: What gadgets do you use to get/stay fit?